Whats the Meaning Behind Friday the 13? Yes today is Friday the 13. There are superstitions connected to this day, why is that and where do they come from? 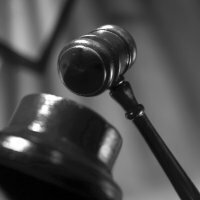 The sixth day of the week and the number 13 both have foreboding reputations said to date from ancient times, and their inevitable conjunction from one to three times a year portends more misfortune than some credulous minds can bear. According to some sources it’s the most widespread superstition in the United States today. Some people refuse to go to work on Friday the 13th; some won’t eat in restaurants; many wouldn’t think of setting a wedding on the date. LEGEND HAS IT: If 13 people sit down to dinner together, one will die within the year. The Turks so disliked the number 13 that it was practically expunged from their vocabulary (Brewer, 1894). Many cities do not have a 13th Street or a 13th Avenue. Many buildings don’t have a 13th floor. If you have 13 letters in your name, you will have the devil’s luck (Jack the Ripper, Charles Manson, Jeffrey Dahmer, Theodore Bundy and Albert De Salvo all have 13 letters in their names). There are 13 witches in a coven. Although no one can say for sure when and why human beings first associated the number 13 with misfortune, the superstition is assumed to be quite old, and there exist any number of theories, most of which deserve to be treated with a healthy skepticism. LEGEND HAS IT: Never change your bed on Friday; it will bring bad dreams. Don’t start a trip on Friday or you will have misfortune. If you cut your nails on Friday, you cut them for sorrow. Ships that set sail on a Friday will have bad luck – as in the tale of H.M.S. Friday … One hundred years ago, the British government sought to quell once and for all the widespread superstition among seamen that setting sail on Fridays was unlucky. Some say Friday’s bad reputation goes all the way back to the Garden of Eden. It was on a Friday, supposedly, that Eve tempted Adam with the forbidden fruit. Tradition also holds that the Great Flood began on a Friday; God tongue-tied the builders of the Tower of Babel on a Friday; the Temple of Solomon was destroyed on a Friday; and, of course, Friday was the day of the week on which Christ was crucified. It is therefore a day of penance for Christians. But with all of this, you have to remember that Friday the 13 is just another day. Its interesting to read about but try not to think about it being a day of bad luck. Any day can have bad luck. Take it for what it is…just another day. 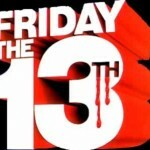 Author adminPosted on November 13, 2009 Categories UncategorizedTags bad reputation, charles manson, friday the 13, jeffrey dahmer, one hundred years, theodore bundyLeave a comment on Whats the Meaning Behind Friday the 13? Walking may not seem to you to be a good way to exercise but according to an article from Family Circle I found out how good walking can be for you and the great thing is that its low impact and almost anyone can do it. Millions of Americans don’t exercise because they think working out has to be challenging to be beneficial. But the fact is just the act of getting up and moving makes a difference. New research has found that even super-slow strolls reduce risk of cardiovascular events by 31% and the chance of dying(during an 11 year period) by 32%. Participants covered as little as 5 1/2 total miles a week and went as slow as 2 miles per hour. Walking can also keep you slim. A 2009 study of nearly 5,000 men and women found that americans gain an average of more than 2 pounds a year once they reach middle age, but the more walking they do, the less weight they put on. For the best results, the American Heart Association, in partnership with the American College of Sports Medicine, recommends adults walk briskly for at least 30 minutes, five days a week. How fast? That’s up to you. A study of overweight, sedentary volunteers revealed that all of them achieved a healthy heart rate of 60% to 70% of their maximum range when told simply to walk briskly. 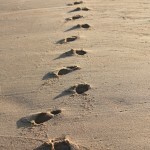 For helpful information on walking and getting outdoors check out The Walking Site. Here at HackALife, we hope you had a great and safe fourth of July weekend. I myself did not have an opportunity to do any of the ‘firework’ festivities, but did have a nice holiday meal with family on Saturday. As I was watching the news on Saturday, the reporter was talking about the increase in fines for illegal fireworks in Oregon this year. The fine had been raised from $500 to $1000 and the reporter was mentioning that their would be zero tolerance with people who lit off illegal fireworks this fourth of July season, which in Oregon, is anything over ten feet in the air. I thought this was a pretty serious warning and thought for sure that no one would dare test the police this year. I mean, they have to make money to right? And what a better way than to write up thousands of lawbreakers this weekend? Yet as I talked with friends this week and asked about their Independence day celebrations, it seemed that many, if not all, of them either had or watched illegal fireworks be set off. I was surprised and realized that the threat of the $1000 fine had little effect on the population. Bear wrestling matches are prohibited. Citizens may not greet each other by “putting one’s thumb to the nose and wiggling the fingers”. A fine of $25 can be levied for flirting. Canned corn is not to be used as bait for fishing. Ice cream may not be eaten on Sundays. Babies may not be carried on the running boards of a car. One of our colleagues has launched him and his family on an Epic Journey across the country in the next three weeks. It will be a great chance for him and his family to spend time together. My wife and myself are also joining the rest of my side of the family for a week at the beach next week. Summer is a great time for family vacations, memories that can last a lifetime. Family vacations are a great way to spend an extended amount of time with your kids and to help them see and experience everything this life has to offer. Family vacations can also be nightmares of planning and exhaustion, of backseat fighting and the incessant, never ending question of ‘are we there yet?’. Here are some tips from us here at HackALife to help ‘crazy proof’ your family vacation, so that you can enjoy the time you have with your family. 1. Confirm your vacation reservation, including hotel, air, car, train, dining and activity reservations. A few phone calls before you leave can save you from vacation stress later on. 2.Pack as light as possible or consider shipping large bags, golf and ski equipment to your destination. There are services that will pick up bags at your home or at the office and deliver them to your destination by the required date. 3. Pack your camera and video equipment at least 24 hours before leaving your house. This way you can make sure that all the necessary batteries have been charged. 4.If you are flying, pack a small carry-on bag of essentials you can’t be without in case your bags get delayed. If you are driving, make sure that you have a road atlas handy. You can also look up driving directions online before you go and find out approximate driving times. 5. Bring along individual refillable water bottles. These can be refilled at the hotel and at attraction water fountains. A family of four could easily spend $20 or more a day buying water. Hopefully these tips can help you and your family enjoy the vacation experience. Happy Trails! Yep its definitely summer, you can feel it in the warmth of the air and the see it in the constant sweat collecting on the armpits of many a shirt. What better way to help combat the sweat than to make your own deodorant. Over at Instructables.com they have a step by step instructional guide to help you make your own deodorant, using just a few simple ingredients. This is perfect for those with allergic reactions to the chemicals in the store bought deodorant or for those with sensitive skin. Whats nice about making your own is that the ingredients are almost all already in your cupboard. You start by picking out your favorite scent in an essential oil, something that wont be too strong or cause sensitivity. 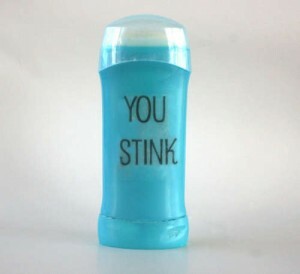 Then after you mix the ingredients you use your old deodorant container and fill it up and let it sit for a day or two. It really seems like an easy project and well worth it. They claim it takes only 5 minutes, I guess I have to try it out to see if it sincerely will only take 5. Sleep can be elusive for me sometimes. It is especially disheartening knowing that in approximately seven months my sleep cycle will change forever with the expectant birth of twins into our family. I have tried to identify different patterns and problems with my sleep that sometimes causes my sleeplessness, but it has been hard to nail down. I have tried different techniques and some have worked at times and not at others. 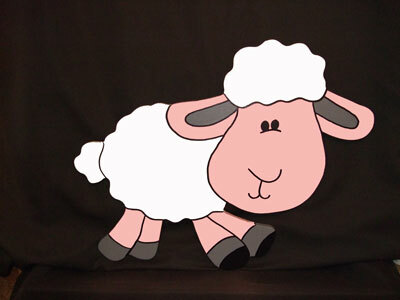 So as I sit here, at 3:30AM, writing a post about sleeping well, while I’m not sleeping well, I thought I’d dig up some good tips for both you and me to try when counting sheep doesn’t work. Insomnia can be a symptom of physical disorders, although for most of us it’s the result of tension, stress and anxiety—and of course the more anxious we get about our insomnia, the worse it gets. If your doctor pronounces you a “healthy” insomniac, he might suggest some of the techniques provided here. Or she might prescribe drugs to help you get to sleep. It’s a great way to relax your body. Don’t overdo it, however. You merely want to relax your body, not exhaust it. Too long in hot water and your body is drained of vitality. Use bath salts, or throw in Epsom salts and baking soda—one cup of each. These will relax you and also help remove toxins from your body. Have your spouse (or whoever) give you a massage just before going to sleep. If you can convince them to give you a full body massage, great. If not, even a short backrub and/or a face and scalp massage can be a big help. Have them make the massage strokes slow, gentle, yet firm, to work the tension out of your muscles and soothe you to sleep. Play some soft, soothing music that will lull you to sleep. There are even cassettes and records designed for that very purpose. Some are specially composed music, others simply have sounds of waves rhythmically breaking, or the steady pattern of a heartbeat. Of course if you don’t have a record, cassette or CD player that will automatically turn off, we don’t suggest this. If you have to get up and turn it off at the end, you’ve obviously lost its effect. A glass of warm milk 15 minutes before going to bed will soothe your nervous system. Milk contains calcium, which works directly on jagged nerves to make them (and you) relax. If you don’t like milk—or are avoiding dairy products—try a cup of hot camomile, catnip, anise or fennel tea. All contain natural ingredients which will help you sleep. Most health food stores will also have special blends of herb tea designed to soothe you and help you get to sleep. What are some things that you use to help sleep? Let us know in the comments section. Happy Resting! This weekend the grocery stores were full of people buying food and other products for those famous Memorial Day BBQs. Most of the people I saw at the store were in a hurry, trying to get back to the car where their kids were waiting, or back to the party where everyone was waiting for the chip dip or more drinks. I was in the same situation, running up to the store for a few quick items and wanting to get home as soon as possible. And so, as I approached the checkout line, I saw six checkers and lines of various lengths. I realized that choosing the correct line would be pivotal to my opportunity to get home quickly. So the lottery began, which line would I pick? Would I fly through the line getting home quickly, or be stuck in the time stretching line of a checker who is taking their sweet time? Fortunately for me that day, I picked a fast line. But how did I get so lucky? Was there any strategy involved? 1. How many people are waiting in line? The most basic question and kind of a no-brainer, but the place you need to start. Picking the line with the least amount of people in it is often times the fastest line, but not always. 2. How fast is the checker going? Try to gauge the speed of the checkers before you get in line? How fast are they scanning the items? Do they look new? Are they one of those who calls the back of the store and waits FOR HOURS for someone to come up and help them punch in three numbers? 3. Does the checker talk while scanning? Figuring out if your checker is multi-talented and can talk and scan at the same time is important. Are they working while talking or do they stop to talk to the customer, wasting precious time? 4. How many items do the people in front of you have? Getting more detailed now, how many items do the people in line in front of you have. There may be four people in front of you, but if they each only have a few items, you may get through faster than a line with only two people with a lot of items. 5. Is there someone helping bag the groceries? Is there an assistant checker who is bagging the groceries while the checker is scanning the items? Or will the checker have to scan the items, then bag them, extending the total check-out time? 6. What are the ages of the people in front of you? While this might be borderline profiling, as sweet as little old ladies are, they can be slow in digging through their purses for exact change? Ladies with babies are a wildcard: they could be in a real hurry and be quick or they could be distracted by their little one and take too much time. These tips applied correctly can put you on your way to choosing the right line when at the grocery store. 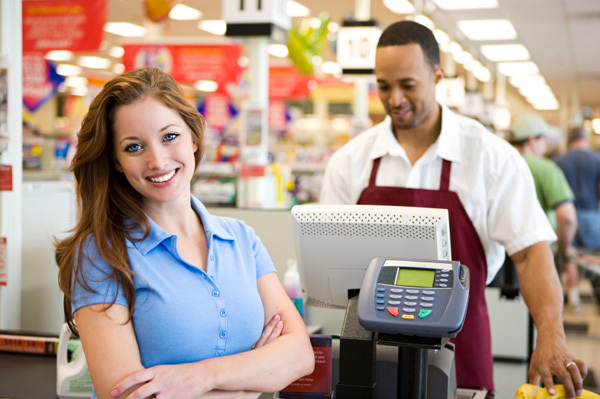 Got any other tips that you use when choosing your checkout line? Let us know in the comments section. 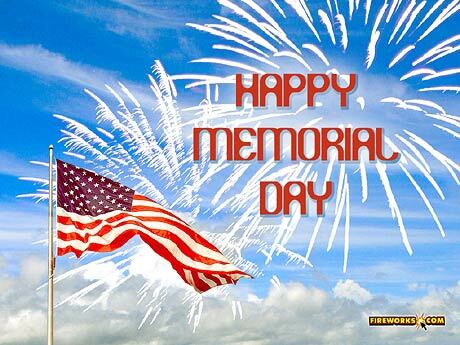 Happy Memorial Day-Thank You Veterans! From all of us here at HackALife, we want to wish you a Happy Memorial Day. We hope that each of you are enjoying the day off with family and friends, whether its a day at home doing nothing or a weekend full of travel and excitement at the lake or the beach. We hope you will also each take a moment to reflect on and remember those who have given their lives in service to our country. They deserve our respect and remembrance. So whether its a barbecue or boating, family or friends, enjoy the day off and join us in welcoming the Summer of 2009! 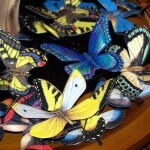 Author Posted on May 25, 2009 Categories UncategorizedLeave a comment on Happy Memorial Day-Thank You Veterans! Spring Cleaning doesn’t have to involve lots of harsh chemicals. Here are some helpful ways to use natural household items to clean your house. Most of these natural cleaners will do a better job than the toughest claimed store bought cleaners. 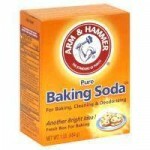 Baking Soda – Great gentle scrub for dishes, pots, and cooking surfaces. Great to clean silver with also. To clean silver: Use a paste of 3 parts baking soda to one part water. Rub the paste onto each item, then rinse with warm water and dry with a soft cloth. 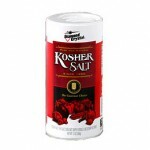 Kosher Salt – A great choice when you need a tougher scrubber for dishes or counter top surfaces. Kosher salt works wonders on cast iron. To clean cast iron: Use a mixture of kosher salt and water to create a paste, then use a nylon scrub brush to scrub the cookware. 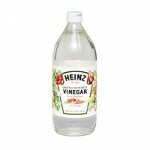 White Vinegar – Use to cut dirt, grease, and smudges on counter tops, windows and floors. To use: Dilute it with water. Works wonders on hard water deposits and soap scum but you will need to use it full strength for these. One of the most often heard reasons for not using vinegar for cleaning is the fear of smelling like vinegar. The vinegar smell dissipates once it dries. Lemon – For a citrus cleaner, combine baking soda with a bit of dish soap and use halved lemon to scrub the paste across surfaces. 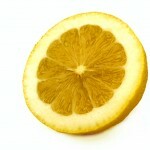 Lemon can also be used to get stains out of Tupperware. Squizze some lemon juice in the Tupperware and then add some baking soda, use the lemon as the cleaning tool and work the mixture in.